The success story of the Southwark section of Quietway 1 continues. Recent counts at morning and evening peaks show a further increase in cyclists over those already reported from previous years (https://southwarkcyclists.org.uk/5479-2/). The graph shows a steady increase now equivalent to about 25% per year. 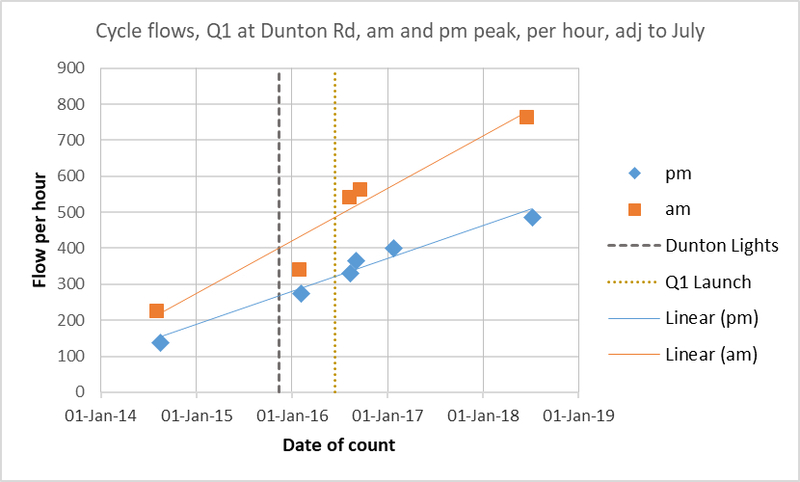 In comparison, counts on Jamaica Road at am and pm peak show 4% to 5% increase per year over the same period. The general level of cycling in Inner London is increasing at only 3 to 4% a year.